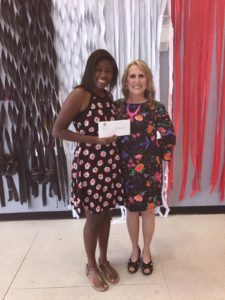 Congratulations to the 2018 Dr. Ashley Matthews Scholarship Recipient, Madison Hogans! Dr. Ashley Matthews was a 1989 graduate of Northview High School in Dothan. Each year, Dr. Matthews awards a graduating Northview senior a scholarship to continue their education. The 2018 Dr. Ashley Matthews scholarship recipient is Madison Hogans! We are so proud of you, Madison! 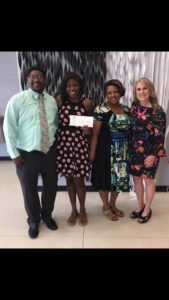 Here are a few pictures of our very own Amy Bonds presenting Madison and her proud parents with the 2018 Dr. Ashley Matthews Scholarship! Dr. Matthews was a 1989 graduate of Northview High School right here in Dothan! Each year, Dr. Matthews awards a graduating Northview senior a scholarship to continue their education. 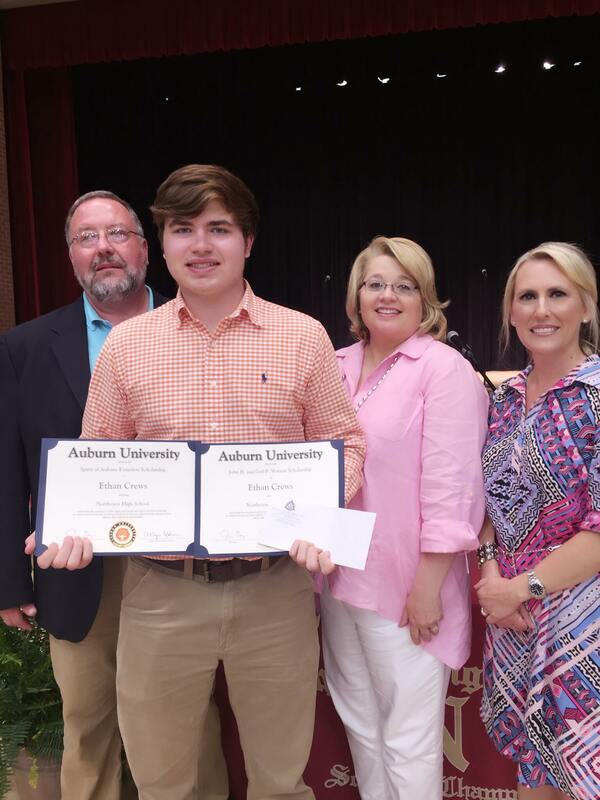 This year, the Dr. Ashley Matthews Scholarship recipient is Ethan Crews. Ethan and his parents, Cindy and Marc Crews have been patients of ours for many years and we could not be prouder of the bright young man he has become. Ethan is graduating with a 4.56/4.0 GPA from Northview! In addition to Dr. Matthews’ scholarship, Ethan was awarded two scholarships to Auburn University. We are so proud! Congratulations, Ethan! Here are a few pictures of our very own Amy Hunter Bonds presenting Ethan and his parents with the Dr. Matthews Scholarship! Dr. Ashley Matthews is a 1989 graduate of Northview High School in Dothan, Alabama. 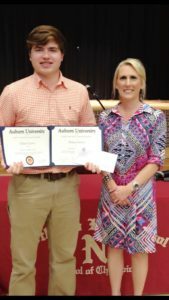 Each year, Dr. Matthews awards a Northview graduating senior with a scholarship. This year, The Dr. Ashley Matthews Scholarship has been awarded to Anna Chan, class of 2015. Congratulations, Anna and Graduates! 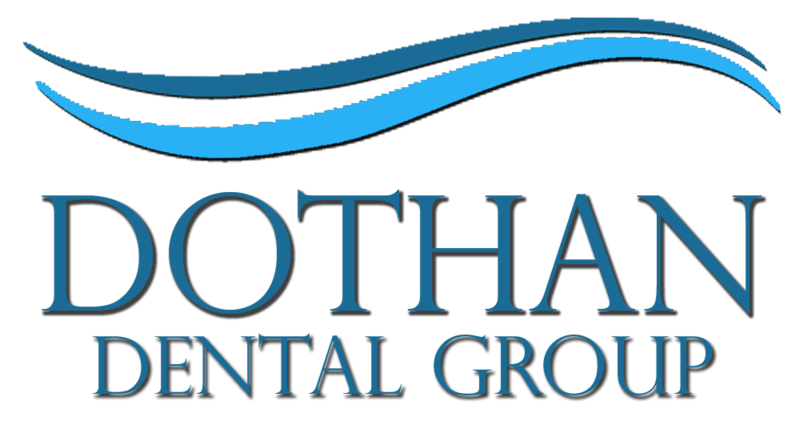 Dothan Dental Group is proud of you! 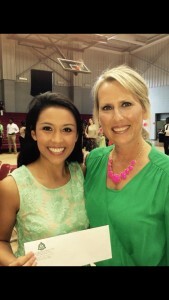 Here’s Anna with Amy Bonds, RDH, who presented the scholarship on behalf of Dr. Matthews on May 15th. She has worked at Dothan Dental Group for 15 years! Call our number and follow the after-hours directions. Our on-call dentist will contact you to provide advice and determine whether you should seek emergency care or be treated at our office in the morning. Do I Need a Cleaning Prior to Teeth Bleaching? If you have any plaque or tartar on your teeth before we bleach them, it can lead to uneven or blotchy results. The whitening product is not designed to work through plaque or tartar, so it is important that your teeth be completely clean and clear before we start the process. A crown is a special type of prosthodontic device that both supports and protects a tooth that has been significantly damaged or otherwise requires protection. For the crown to fit properly, the tooth must be shaped and filed. Crowns offer us the ability to save a tooth that might otherwise be lost. All-ceramic crowns are the best option for aesthetics, but crowns are also available in other materials including ceramic-fused-to-metal and various metals. Veneers are thin shells of porcelain that are placed over the top of your teeth. While some types of veneers require that your enamel be shaped or etched prior to placing, they are less invasive than crowns. Veneers are designed to improve the appearance of your teeth and can cover a number of flaws such as discoloration and chips. Replacing Amalgam Fillings with Composite? If your amalgam fillings are still in great shape, there is no need to replace them. However, if your fillings have become loose or are otherwise starting to fail or if your fillings are in a conspicuous place, we can discuss replacing them with tooth-colored composite fillings that will blend in with the natural color of your teeth, making them virtually invisible. Give us a call to learn more about this option. Yes! To schedule an appointment with Dr. Ashley C. Matthews or Dr. T. Wayne Prim, please call us or visit our Patients page. From there, you can print forms, read about what to expect, or request an appointment. One of our front desk staff will get back to you shortly! Absolutely! We are dedicated to providing treatment for your entire family, including your kids. Bringing your entire family to the same dental office for care is a great way to simplify your life!